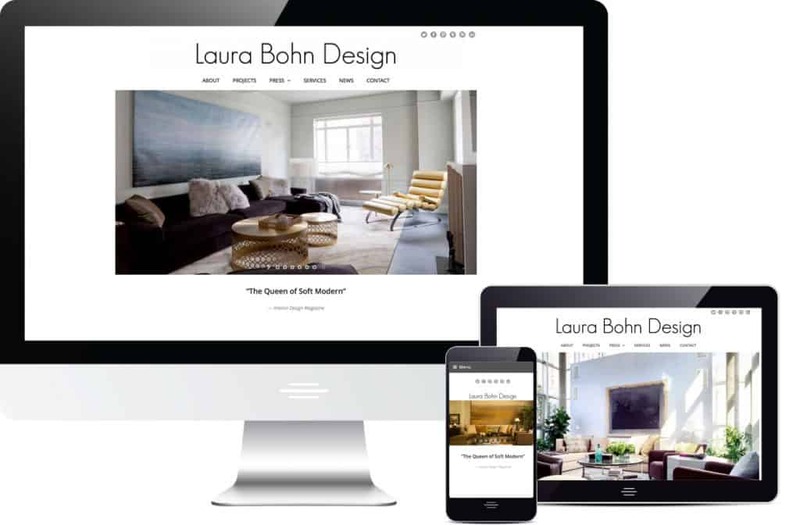 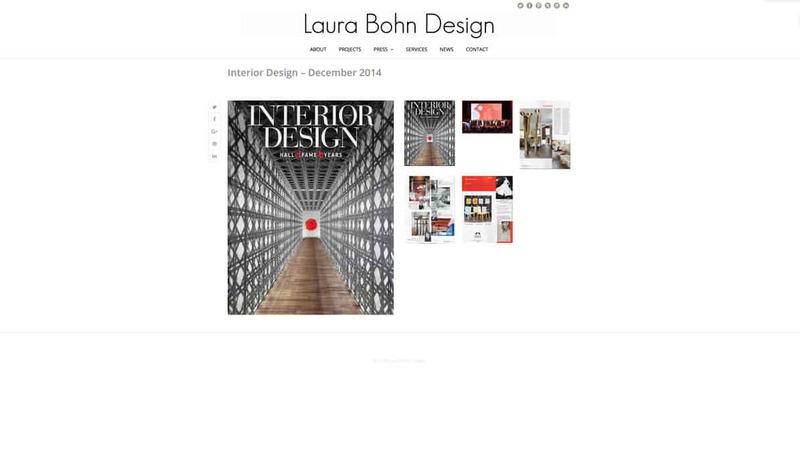 Laura Bohn Design (LBDA) is an award-winning, New York based, international Interior Design consulting firm. 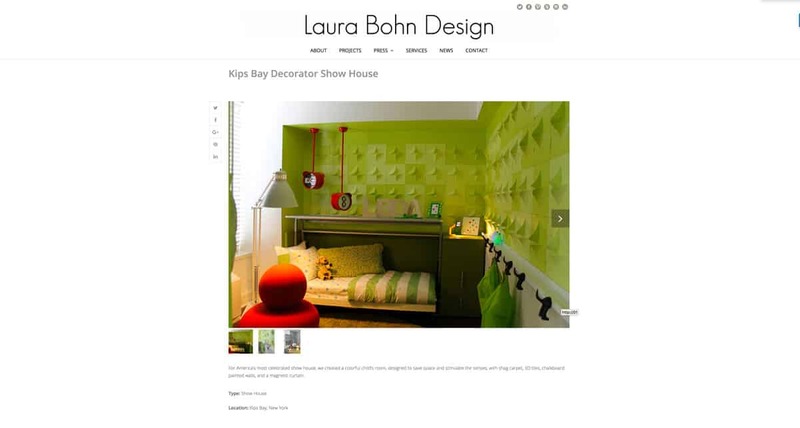 The main project directive was to present Laura’s design work online, while maintaining the brand sensibility LBDA bring to their interior design work in the world… clean, bright and simple. 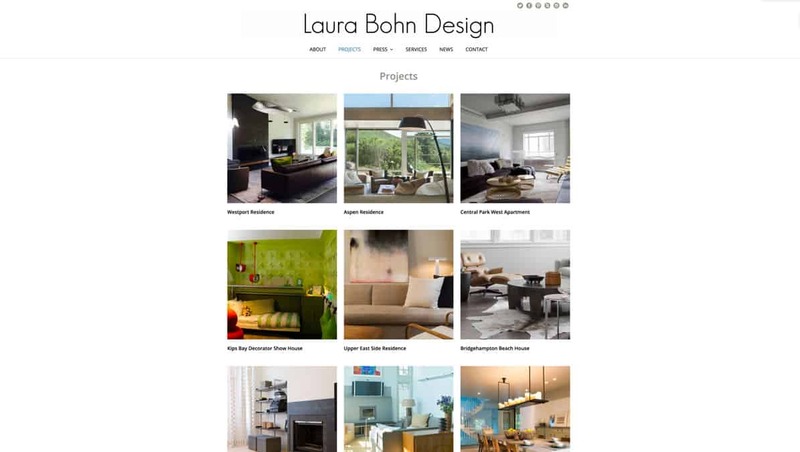 We set up portfolios of her projects, both current and archived projects, along with a blog to keep her clients up to date with her latest work. 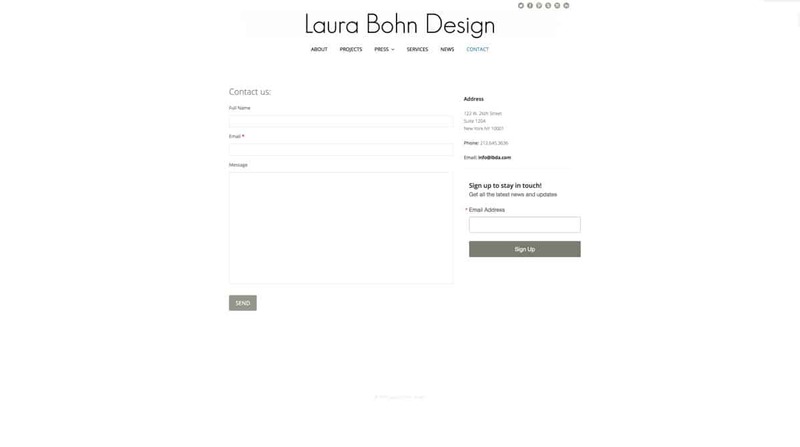 We also set up email capture so visitors to the site can easily sign up to receive her newsletter. 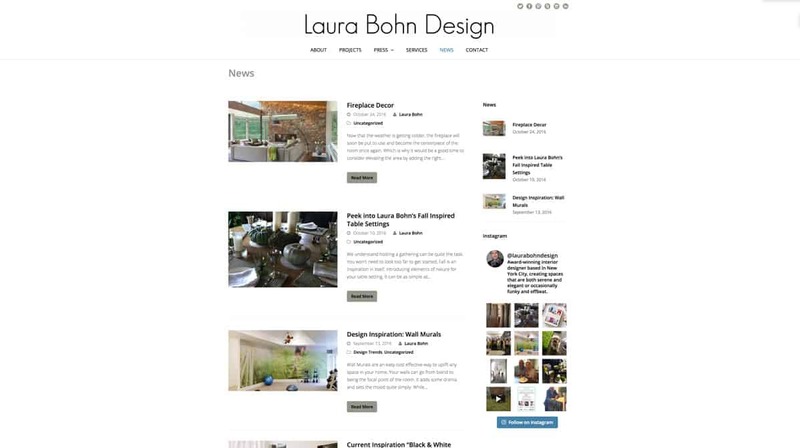 Consequently Laura has gathered a considerable following of loyal fans. 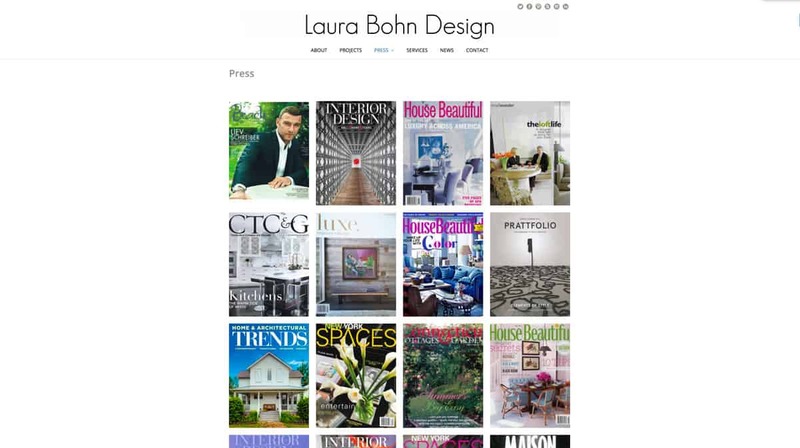 With the launch of her upcoming book, we added a page where followers can access her current Book Tour and purchase the book.